Singer-songwriter Carla Geneve joins us for a Studio 5 Live ahead of her highly anticipated debut EP. The Perth-based musician’s captivating live show and relatable lyricism saw her win the inaugural Mojo Rising Band Competition, Best Regional Act at the WAM Awards, play stand out performances at festivals such as Falls Festival and WAMFest, and support artists such as Holy Holy, Alex Lahey, Jen Cloher, Gomez, Birds of Tokyo, Stella Donnelly and many others. 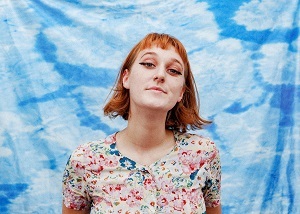 Hailed by Pilerats as one of 18 Artists to Watch in 2018 as well as a tonne of industry buzz from her WAMFest appearances and year in general, her debut single ‘Greg’s Discount Chemist’ was released to an overwhelming response including 90,000+ streams on Spotify, becoming Triple J Unearthed’s Feature Artist, the single being added to rotation on Triple J and community radio as well as a sold out debut headline show at The Bird. You heard it here first - Carla Geneve is one of this year’s most exciting up and coming Australian artists. Have a listen to 'Greg's Discount Chemist' below now and tune in to The Afterglow for a Studio 5 Live with Carla Geneve. Proudly brought to you by Mountain Goat.